The ruling Burmese junta faces a “bleak” future if it continues to reject the national reconciliation process being pushed by United Nations Special Envoy Ibrahim Gambari, a senior US diplomat warned Friday. “The future of that regime is bleak, so they should try to respond,” Christopher Hill, assistant secretary of state for East Asia and Pacific affairs, told a seminar in Bangkok. Gambari, who is seeking an international consensus on how to handle Burma, is due to visit the country next month after being denied a visa for weeks. 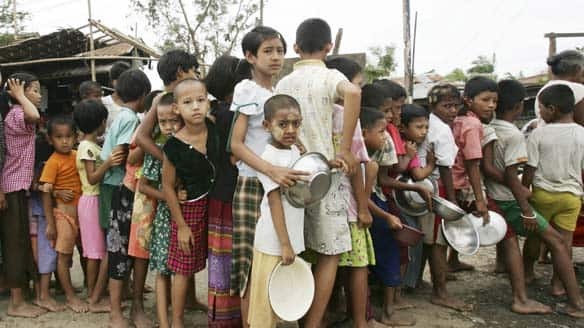 Since 1962, Burma has been ruled by a military regime that has earned itself one of the world’s worst human rights records after two brutal crackdowns on pro-democracy movements in 1988 and more recently in September 2007. It has arrested thousands of political dissidents including Nobel peace laureate Aung San Suu Kyi, who has spent 12 of the past 18 years under house arrest. The regime has promised to hold a referendum this year to approve a new constitution, which will institutionalize military rule, and elections in 2010, but there is great skepticism that the processes will be free and fair. Instead, many within the international community are hoping that Gambari will succeed in persuading the military to open a genuine political dialogue with opposition figures such as Suu Kyi and ethnic groups to forge a national reconciliation process that could lead to a genuine democracy. “There is a good political process out there with Gambari, and it behooves the Burmese government to try to meet him,” Hill said. The senior diplomat, addressing an audience at Chulalongkorn University, warned that the US would continue to put diplomatic pressure on Burma, including sanctions, until a legitimate solution to the country’s problems is found. The United Nations Special Envoy to Burma, Ibrahim Gambari, is expected to return to the country in a few days’ time to discuss the military regime’s plans for political change. The junta had originally told the envoy they could not host him until after the middle of April. 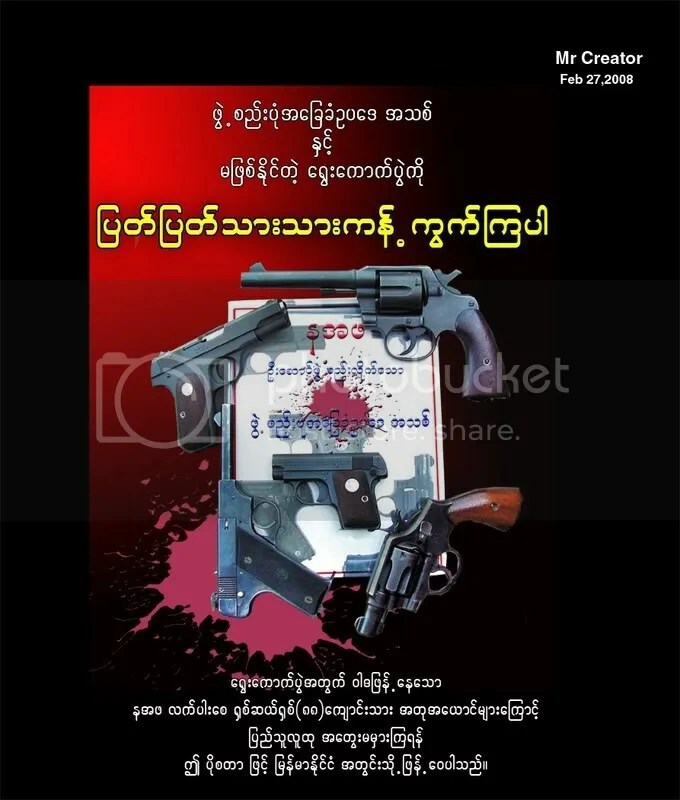 But in the past two weeks the Burmese government has finished drafting the country’s new constitution, and announced plans to hold a referendum in May and new elections in 2010. This appears to leave the envoy with little left to do while he is there _ though he will certainly press for the release of detained opposition leader Aung San Suu Kyi. Mr Gambari is expected to arrive in Rangoon on the weekend after visiting Tokyo, according to UN sources who do not wish to be identified. The Burmese authorities have agreed to allow Mr Gambari to visit Burma in the first few days of March, according to a Chinese diplomat in the region. Mr Gambari himself remains coy about the forthcoming visit, but told journalists in Jakarta last week that he was hopeful of visiting Burma in the first week of March. ”Beijing and Delhi have both been pushing the Burmese leaders to allow Gambari back as soon as possible,” an Indian diplomat told the Bangkok Post recently on condition of anonymity. ”The generals couldn’t really ignore the strong advice of their two biggest neighbours,” he said. Last week Mr Gambari held discussions in Beijing with senior Chinese officials, including the foreign minister, on Burma and was assured of their support. But the military government’s recent announcement that it plans to hold democratic elections in two years’ time, after conducting a referendum on the new constitution in May, effectively puts an end to Mr Gambari’s mission. ”It’s easy for the junta to agree to Gamabri’s visit now, as he really has nothing to talk about,” said a Bangkok-based diplomat close to the international mediation efforts with the Burmese military. ”Than Shwe’s decision to set a timetable for the roadmap was a strategic move to block both Maung Aye _ his deputy _ from assuming power later and the international community, especially Gambari, from playing a role in the process,” he added. When Mr Gambari visited Burma last time, in November, he had a three-pronged approach. He asked to the be involved in a constitutional review process after the National Convention had completed drawing up the guidelines; he wanted to encourage the regime to make the national reconciliation process more inclusive and involve pro-democracy leader Aung San Suu Kyi and the National League for Democracy; and to set up a Poverty Alleviation Committee. Mr Gambari is currently on a trip to the region in preparation for his forthcoming visit to Burma. The envoy has been encouraged by the response of India, China, Indonesia and Singapore. ”What is important is for us is to work together with them [the military government], with the neighbouring countries, with Asean and the international community to enhance the credibility of this constitutional process, and to make national reconciliation more inclusive,” Mr Gambari said in Jakarta after meeting the Indonesian president and foreign minister. Mr Gambari is likely to be shown a copy of the new constitution, which so far has been difficult to find. Diplomats and opposition politicians contacted by the Bangkok Post last week said they had been unable to obtain one. The government officially announced the constitution was now ready for the referendum two weeks ago. ”The drafting committee completed the constitution in mid-December,” said a Burmese government source. But it had been held under wraps while Senior General Than Shwe mulled over what to do next. It is very clear now that Gen Than Shwe has never had any intention of making the national conciliation process inclusive. There was never a role for Aung San Suu Kyi or the NLD. So any efforts by Mr Gambari on this issue are destined to be rebuffed entirely, despite the envoy’s insistence that this must be a key part of his next mission. ”We have been very consistent in saying that the recent announcement by the authorities of the referendum on the government constitution in May, and elections that will lead to a multi-party democracy in 2010, are a potentially significant step,” Mr Gambari told journalists in Jakarta. ”But all the same, this process has to be credible and has to be all-inclusive. This will continue to be stressed in our conversation with the authorities in Myanmar,” Mr Gambari told a press briefing after meeting Indonesian President Susilo Bambang Yudhoyono. In reality the key issue that remains unresolved and which Mr Gambari may be able to help in, is the question of Aung San Suu Kyi’s release. When will the opposition leader be released from house arrest? In previous discussions between Mr Gambari’s predecessor, the UN envoy Razali Ismail, the prime minister and military intelligence chief (General Khin Nyunt at the time) it was believed she would be freed after the constitution was ratified, according to sources close to Mr Razali at the time. Mr Gambari is expected to push for a renewed commitment from the junta that she will be released soon after the referendum in May. In Indonesia, Mr Gambari told reporters he would certainly raise the issue of Daw Suu Kyi’s continued detention and her participation in the proposed elections in 2010. The main problem for the UN envoy is that he is likely to be given access only to lower level officials. This is something sources close to the UN envoy admit is almost certain to be the case again. It is even possible he will be denied access to Daw Suu Kyi and the opposition. ”As long as Gambari is able to stress the international community’s concerns to the generals _ and Than Shwe hears it, even if it’s second hand _ that will be an important measure of whether this forthcoming trip is a success or not,” said Zin Linn, spokesman for the Burmese opposition abroad. The planned referendum must be ”free and fair” and international election monitors allowed to observe the process, he said. Daw Suu Kyi must be freed as soon as possible and allowed to participate in the forthcoming elections; and the NLD must be allowed to stand in the elections without restrictions or harassment. ”The junta must be under no illusions; only a credible vote will satisfy the international community,” according to a Rangoon-based Western diplomat. The Asean foreign ministers at their retreat in Singapore earlier this month stressed the same message. ”Nyan Win [the Burmese foreign minister] was told in no uncertain terms that while the referendum was considered a domestic matter _ it was essential that is was a credible process,” according to a Southeast Asian diplomat who was at the meeting. But Mr Gambari may find even delivering this message hard going. The Burmese junta has hinted in several ways that the UN envoy and the UN as a whole has no further role to play in Burma’s national reconciliation process or the proposed political reforms. But the UN envoy remains upbeat and insists his job is to continue to push ahead even in the face of overwhelming obstacles. ”Sometimes, I myself am frustrated that the tangible results are not faster or we have not achieved more, but we have to build on what we have and continue to press for more results,” Mr Gambari said. While the envoy remains optimistic, the signs from the regime are that Mr Gambari’s next trip to Burma is likely only to be a final courtesy call.